Contrary to popular belief, remarkable customer service isn't that much about friendliness. It is however, about creating trust. As David Horsager, author of The Trust Edge puts it. "A lack of trust is the largest expense we have." The question becomes, what's the fastest way to create trust with potential customers? Here's a suggestion I share in my seminars. Use two these words more often: "As promised..." In other words, start by making a commitment to customer - that you will actually keep - such as, "I'll send you that draft within 24 hours." Then when you deliver on that promise, begin with the words, "As promised..." No doubt you're already completing tasks for customers and coworkers. When you start with as promised, it registers with others that you actually deliver. 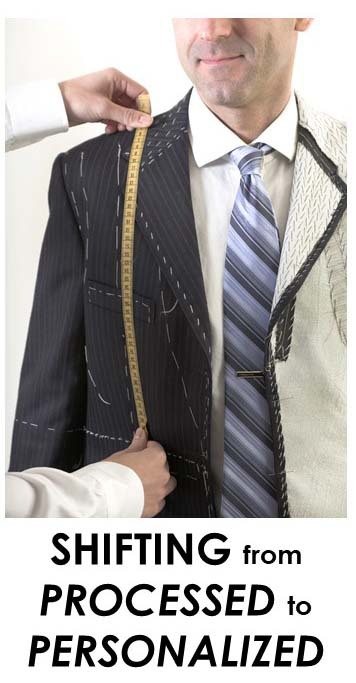 It's a simple way to earn trust and differentiate your service. When your products and services are similar to those of competitors, the challenge is how to differentiate yourself without lowering your prices. Check out this short video where I share a tip on how to be noticeably different in your industry. It was a lesson in humility I'll never forget. Decades ago my first real job after graduating university was selling accounting systems door to door to businesses. After several days of making little progress, I finally had a manager agree to walk me to his office to hear my pitch. Following him, I said, "Thanks, I really appreciate your time." He turns, scowls at me and asks, "Why, is it not worth my time?" He's dead serious. It occurred to me that I was being too grateful and too deferential to a potential customer. How about you and your team members? Is it possible that they may be putting the customer on too high of a pedestal? Or do they take the opposite approach and treat customers condescendingly? 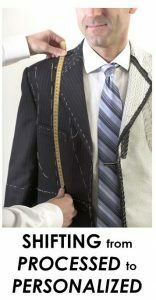 Employees who interact with customers walk a fine line of diplomacy when it comes to status. 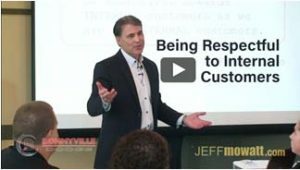 As I teach to sales and service teams in my Becoming a Trusted Advisor seminars, our goal is to position ourselves - not as higher or lower status - but equal in status to the customer. We don't want customers to view us as service providers. We want customers to value us - literally - as trusted advisors. Here are 3 easy ways to help make that happen. When you or your team members introduce yourselves to customers, do you use your first name only, or do you share your first and last names? These days most people keep it casual and stick to first names only. In terms of status that's a mistake. Instead, when you offer your first and last name it tells customers, "I am comfortable being held accountable. If you have a question, you should ask for me, which is why I'm volunteering my full name. I'm someone important enough for you to know." All that enhanced status comes simply by adding your last name. A fast way to lose status is to start talking to someone who isn't ready and willing to listen. So before asking customers or coworkers a lot of questions, it's important to ensure you have their full attention. Unfortunately, common attempts to get attention actually hurt our status. Asking someone if they have a minute won't go over well if it's obvious that the conversation will take more than 60 seconds. That's why so much of what I share in my seminars and coaching tools is about being more thoughtful with word choices. Next time you're about to have a serious conversation with a customer or coworker, begin with a simple, "How's your time, are we OK?" Since we're on the topic of attention, I've been asked by frontline staff what to say to customers who talk sideways to you while chatting on their cell phone. My tip - say to the customer, "I'll take care of you as soon as you finish your call." Then move on to another activity or another customer who's waiting for your attention. They'll finish their call in a hurry. And they'll start treating you less like a servant and more like a professional who deserves respect. DON’T put that in Writing! In today’s workplace employees spend less time talking and more time emailing, texting, and engaging on social media. Ever consider how those messages are perceived by your customers, coworkers, and even by your employer? To ensure your electronic image reflects your best self, take this mini quiz. 1. There’s a big difference in what you officially write at work, vs comments you post online on your own time. a) True b) False Ans: b). While theoretically there may be some anonymity in what you post “privately,” in reality your online presence makes no distinction between your personal and professional image. Virtually anyone can find out what you are supporting, denouncing, or commenting about online. Assume any comment you make about anyone will be read by that person, and possibly by others including your employer and customer. Any image or comment you post that comes across as mean spirited, inappropriate, or biased will hurt your reputation. 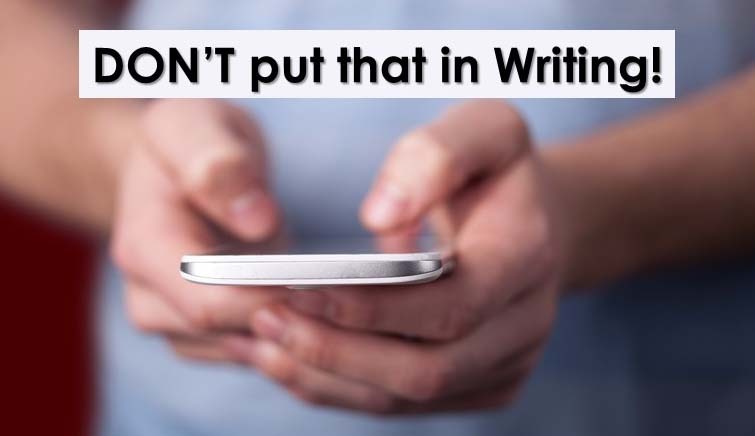 Think twice before you hit send or post; both at work and at home. 2. Your email subject line most often: a) Consists of a generic topic ie Anderson account or file 958303 b) Includes an action or a call to action ie Anderson account – yes they received the shipment Better answer is b). 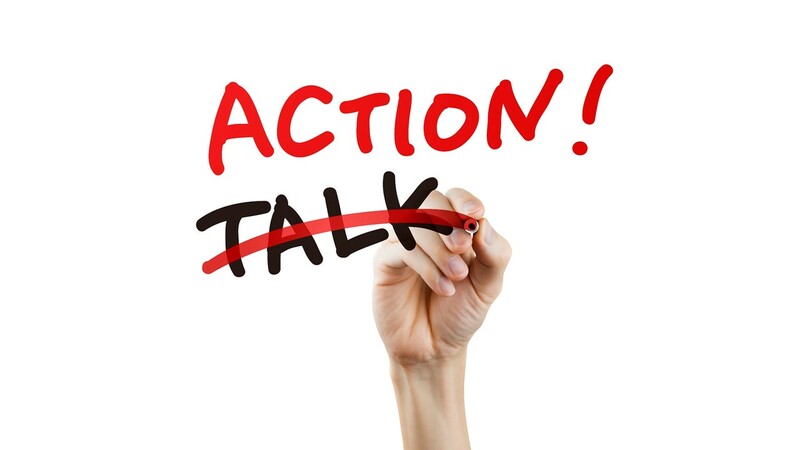 Actions get noticed and calls to action get faster replies. The easier you make it for others to quickly get what you want or what you’re providing (by simply viewing your subject line), the more they’ll consider you to be efficient and easy to work with. 3. Your email signature line includes: a) Your full name, title, and contact info including physical work address. b) A generic title only ie “ABC company support service.” c) There is no signature line when you email from your phone. Best answer is a) Remember to include your full name and business contact info (even from your phone). The more anonymous you are, the more it appears to customers that you are hiding behind a veil of bureaucracy, and that you are avoiding taking responsibility. Conversely, by volunteering your full name and contact info, you demonstrate that you are comfortable being held accountable. Your stature is instantly elevated. 4. You provide written info in this order: a) Sequentially - beginning with background info, then providing the conclusion or call to action. b) Start with your main conclusion or call to action up front, then providing additional background, if needed. Better answer is b). Get to the point. If you haven’t corresponded recently then it’s fine to start with hope you are well. Then get to the gist of what you’re trying to say. The background stuff if needed can come later. Short emails get read while long email get scanned and forgotten. Keep in mind when you’re communicating up the chain of command that senior managers rarely need or want all the background. When they ask for the temperature outside, they don’t want to know how to make a thermometer. 5. When communicating with customers you tend to: a) Stick to providing facts about your products or services. b) Provide products and service facts and how they benefit the customer. The better answer is b). While in question #4 we stressed the importance of short messages, we don’t want customers to be short changed. To create extra perceived value simply add the words, “So that…” For example, rather than, “We’ll deliver it,” instead write, “We’ll deliver it so that it saves you a trip. 6. When giving someone bad news you: a) Send a text, email, or letter so you don’t have to deal with their reaction. b) Pick up the phone and talk to them, or at least leave a voice mail. c) Go in person and talk to them. Best answer is c) go in person, followed by b) phone them and follow-up in writing. Giving bad news in writing practically guarantees the recipient will want more information. If they don’t receive that additional info instantly, they’re more likely to either reply with a rant or opt to no longer deal with you, and instead escalate the matter further up the chain of command. You save zero time by writing bad news communiques. The written part should only be a confirmation of what you’ve discussed. Bottom Line – Increasingly our interactions with customers, colleagues, and even with family members are taking the form of text on a screen. The sheer volume can lead to sloppiness and slipups that result in misinterpretation, hard feelings and even lawsuits. Keep in mind your written messages are permanent records. Since it’s your reputation that’s at stake, take a few moments to decide if you should post. Then use these tips to enhance what you post. You may have noticed that while we are often on our best behavior when taking care of external customers, we sometimes forget how to treat our own coworkers. Check out this 2 minute video where I share a simple tip I learned from my mom and dad on how to improve relationships with coworkers and even with family members. Which would you say describes your organization's website? a) Our website makes it easy for customers to communicate with employees in a variety of ways. 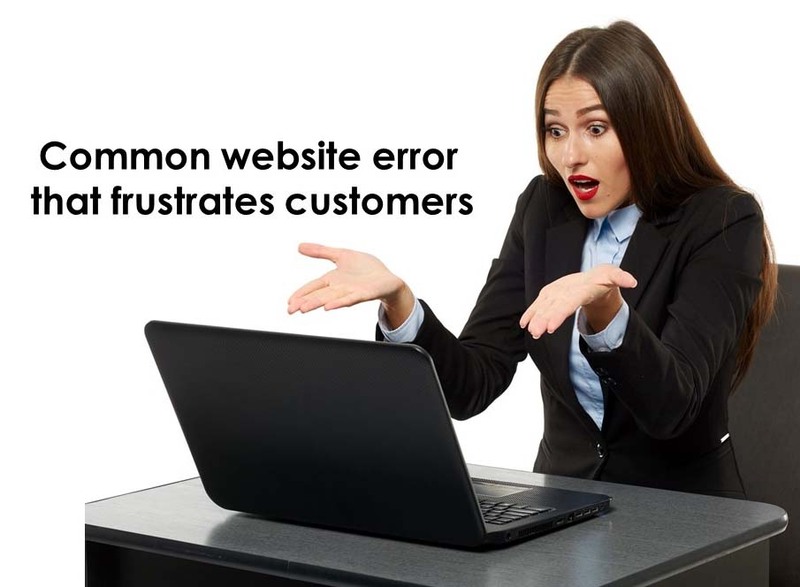 b) Our website makes it difficult for customers to actually talk with our employees. I believe the better answer is a), yet it's surprising how many managers - sometimes unknowingly - allow b) to happen on their websites.Evidently, many organizations are afraid to be accessible to their customers. Their websites hide or bury their contact information (particularly phone numbers) or don't display an email address. Instead, they insist customers fill in online feedback forms. I understand the cost savings of having customers serve themselves with online information and artificial intelligence chat boxes. But that only works when you execute flawlessly, and customers understand exactly how to find out about, order, and use your products. If this isn't the case all the time, then make it easy for customers to ask questions. Keep in mind that a single two minute phone conversation can often prevent several emails that end up taking 20 minutes of staff time to address. An easy competitive advantage in today's e-commerce planet is simply being more accessible to customers. 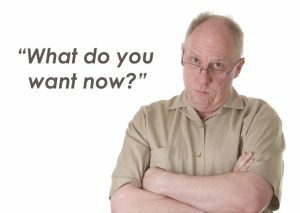 4 strategies for dealing with reluctant customers How do you think your customers would prefer to spend $1,000: a) towards a vacation of their choice or b) towards purchasing your products and services? If you hesitate because some customers might indeed opt for your company’s offerings over the vacation, then ignore the rest of this article. It means you sell fun stuff or experiences customers actually enjoy buying. Maybe you provide spa services, or sell luxury cars or upscale clothing. If on the other hand, you sell products and services that people buy because they have to; supplies for their business, winter tires, liability insurance, house repairs, braces for their kids, etc., then read on. After over 25 years of advising companies that deal primarily with reluctant customers, I’ve developed these 4 strategies for helping customers feel better about spending money on grudge purchases. If you sense your customers are rushed or frustrated, don’t ask them how they are. That question just reminds them that they’re not having a good experience. Instead, ask, “What can I do to make your day go a little better?” It helps keep the conversation positive while indicating you’re aware that they have other things they’d rather be doing. Speaking of better word choices, avoid asking reluctant customers what they want or what they’d like. Frankly they don’t want to be there at all. Instead, phrase your questions along the lines of, “Would it be useful…?” “Would it make sense…?” “Would it be helpful…?” In general, we get better results with task oriented questions that focus on resolving the customer’s problem, than with questions that encourage customers to think about their mood. A couple enjoying an appetizer at a fancy restaurant may not mind waiting if the main course is slightly delayed. On the other hand, a parent kept waiting past appointment time with a fidgety child in a crowded dental office needs an explanation. The dentist shouldn’t just ignore being late. She should start with, “Thanks for your patience today. A previous patient had a serious condition I needed to spend a little more time with. Rest assured we’ll take all the time we need to take care of you. Before I do, how’s your time – are we OK?” When customers agree to proceed they feel less taken for granted, more like they’ve regained control, and become more receptive to your service. Let begrudging customers know that you understand what they really want. An employee at a license plate registry office would do well to tell a customer who’s obviously running errands during lunchtime, “Let’s take care of this quickly so you can hopefully get a chance to eat.” A plumber replacing a hot water tank mentions, “At least now when you leave the house you’ll know that you won’t come home to a flood.” Customers may be focused on the immediate painful purchase. You need to remind them of the more positive strategic outcome. 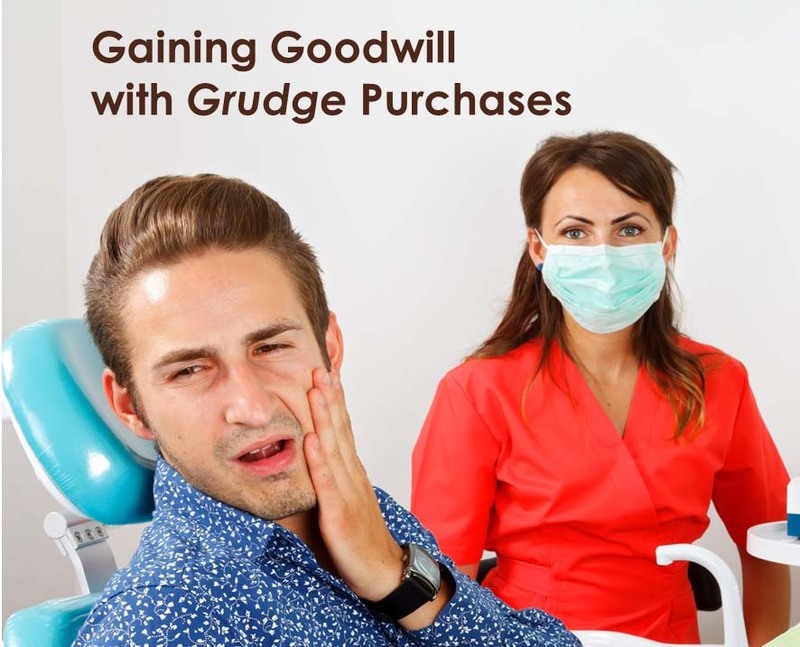 By definition, people don’t enjoy spending money on grudge purchases. So with big ticket purchases it’s helpful to break the price down into something that sounds less daunting. So, rather than saying to a customer, “The new roof will be ten thousand dollars,” Instead say, “The new roof will be 10k.” Then compare that figure with their overall investment. “Keep in mind the new roof is protecting your seven hundred thousand dollar home investment. Whatever you invest in the roof is likely to increase the value of your home by at least that amount. Plus, of course you don’t have to worry about a hidden leak causing mold damage in your walls that can run into staggering costs and cause health issues.” Bottom line - Too often, service providers fail to realize just how much customers don’t want to be there. That’s when employees appear to customers to be oblivious and uncaring. Meanwhile, these same employees wonder why customers are so demanding and grouchy. The good news is with a little training, employees can come across as wonderfully astute and empathetic. That makes for a more pleasant experience for everyone. Most importantly for your bottom line - customers become less resentful about sending their dollars your way. Are you a Friend or Trusted Advisor? You already know that we need to be friendly with customers. But that doesn't mean our goal is to become their friend. 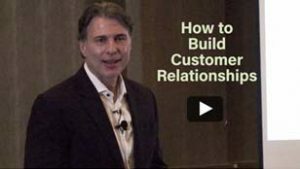 Check out this short video where I share a more authentic way of growing customer relationships. We have some options to make this easier for you. Click here for a printer-friendly CDrom with all Jeff's tips. Click here for Jeff's book with 101 top tips. If you'd like to cut and paste any of our tips or articles from our website, you are welcome to do so providing you include the bio and contact information after each tip or article. Please also email a link to any tips or articles that you post on-line to [email protected] Copyright © JC Mowatt Seminars Inc. All rights reserved. Like to forward or reprint this tip?